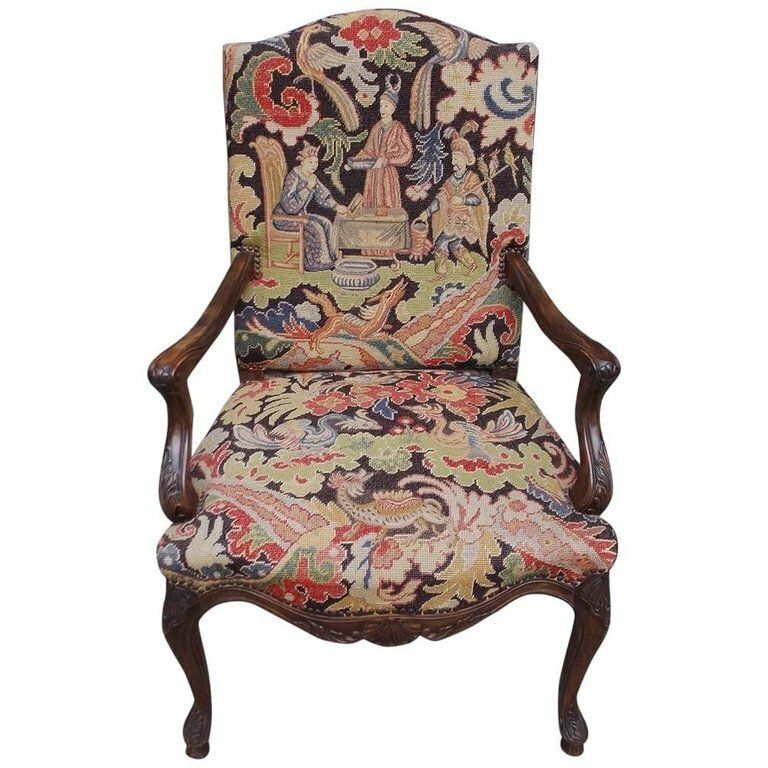 French walnut armchair with a crested upper back, carved scrolled acanthus arms, decorative floral figural needlepoint, centred lower shell carvings, and terminating on the original shell knee carved cabriole legs, mid-19th century. H 39 in. x W 25 in. x D 22 in.